A number of local shops and restaurants say they're getting more customers as a result of the app. The free location-based game, based on the popular franchise that started in the mid 1990s, sends players into the real world, trying to catch mythical monsters that appear on their mobile device screens. The Ball family of four made the trek from Hammonds Plains into the city specifically to go Pokemon hunting. Joshua Ball quickly found six. 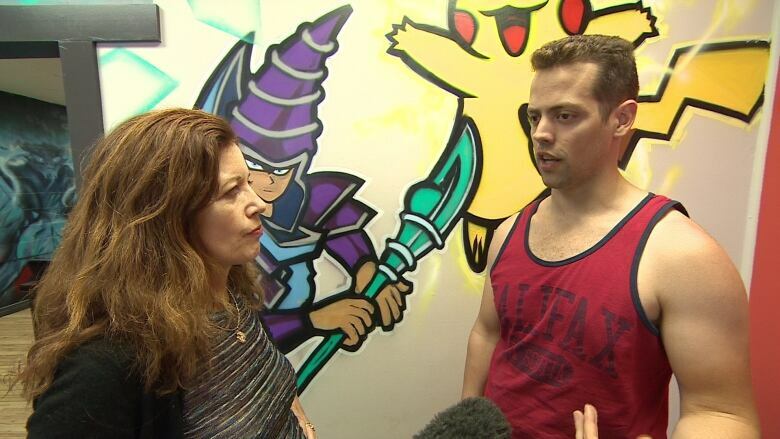 His mother, Sherry — admitting she might be the most addicted to the game — sees the financial benefit for local business. "Oh yes, we'll probably buy ice cream and have a coffee," she said. 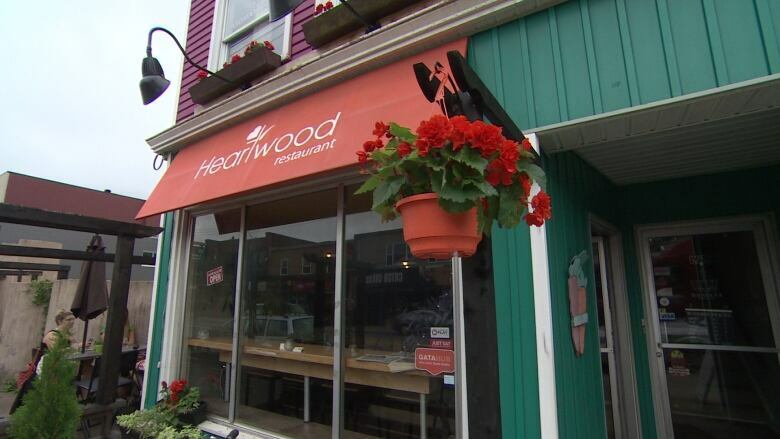 Scott Boudeau of Heartwood Bakery Cafe says he's seen an increase in customers equal to five or six tables. "It's been great so far," he said. At the collectible card game store The Deck Box, owner Josh Carter is looking at spending some money to lure even more customers in. Buying a lure or incense can bring Pokemon hunters into his store. A lure, which brings Pokemon around your business for 30 minutes, costs 80 Pokemon coins, which sell for $1.39 for 100. 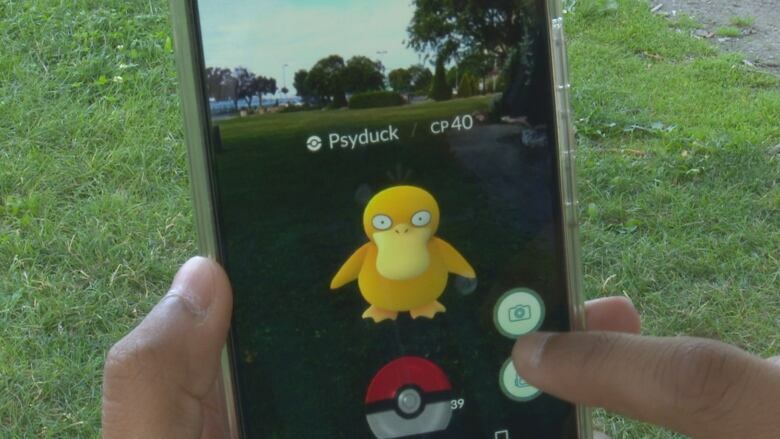 ​His store hosts a weekly Halifax Pokemon League, playing the old-fashioned way with cards, but he's thinking this could be an inexpensive way to bring Pokemon hunters into his store. "It gives people an incentive to come by and it's a minimal cost for your business," Carter said. "A lot of my friends, who are also business owners, are seeing how they can integrate it. It's not a fit for all, but it's especially good for food businesses and people who are on the back streets of Halifax." So far, he said even without the lure, he's seen enough foot traffic on Quinpool Road with people stopping in for Pokemon cards. "We put the sign [outside] to say, 'Totally, come on in,' and we've had a bunch of new people we've never seen before," she said. "It's been amazing, getting people downtown. The foot traffic is moving." Rock Candy even sells Pokemon T-shirts — and the shop has needed to order more. This is all welcome news, said Paul MacKinnon, executive director of the Downtown Halifax Business Commission. "We'll ride the wave," he said. "Anything that gets people up off their couches and downtown is a great thing, so there's good synergy here."